Father is missing His top secret job as a physicist for the government has taken him awaybut where?and how? Meg and her younger brother, Charles Wallace, set out with their friend Calvin on an exciting adventure through time and space to search for him. With the help of the mysterious Mrs. Whatsit, Mrs. Who and Mrs. Which, the youngsters learn to expect the unexpected as they move in the fifth dimension know as the tesseract.With this award-winning story, Madeleine LEngle has captivated millions of readers throughout the world. Her universal themes of courage, perseverance, and love are interwoven with imagination and suspense. 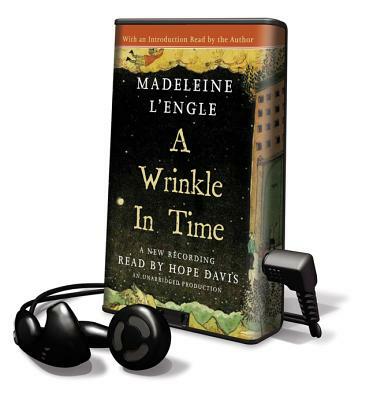 A Wrinkle in Time, published in 1962, won the distinguished Newbery Medal for childrens literature in 1963. Madeleine LEngles warm reading adds depth and meaning to this classic story.